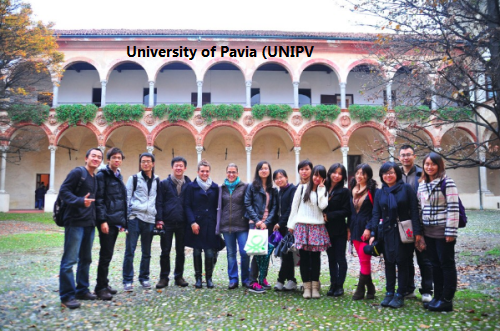 The University of Pavia (UNIPV), in order to promote international cooperation with the Developing Countries, offers scholarship of 8.000 Euros to outstanding students from developing countries to study a Master’s Degree Programme in the field of Engineering at the University of Pavia during the academic year 2017-2018. The scholarship is worth €8.000 and is intended to cover one academic year. Each scholarship will cover also the expenses for the visa and for the travel to Italy and back (economy class). Tuition fees will also be waived. Citizens of a Developing Country classified as a low-income economy or as a lower-middle-income economy by the World Bank. To be considered for the scholarship, you must be admitted to a Masters Degree Programme in the field of Engineering at University of Pavia. Interested candidates must submit the scholarship application form together with supporting documents ONLY by e-mail (just one PDF file) before 12.00 pm (Italian time) of the 12 June 2017. Now that all the information about UNIPV International Scholarships for Developing Countries has been delivered nicely; interested and talented students who are eager to pursue their Free Tuition/Scholarships/Study in Italy can apply now.